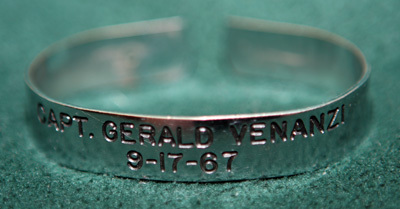 Gerald Venanzi was born in 1944 in Trenton, New Jersey. He was commissioned through the Air Force ROTC program on December 20, 1965, and completed Undergraduate Navigator Training on October 24, 1966. After Navigator training, Venanzi went through Navigator Reconnaissance Upgrade training, and began flying combat missions in Southeast Asia with the 11th Tactical Reconnaissance Squadron at Udorn Royal Thai AFB, Thailand, in June 1967, flying the RF-4C Phantom II. Lt Venanzi was forced to eject over North Vietnam on September 17, 1967, and was immediately captured and taken as a Prisoner of War. He spent the next 2,005 days in captivity before being released during Operation Homecoming on March 14, 1973. After hospitalization following his return, Venanzi became an Instructor Navigator with the 451st Flying Training Squadron at Mather AFB, California. 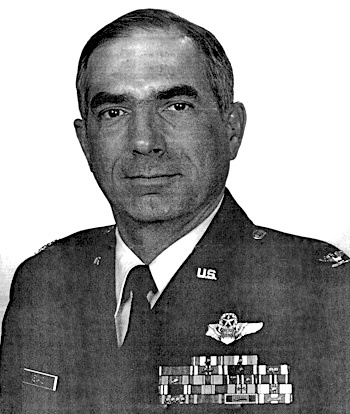 Col Venanzi later served with the 323rd Flying Training Wing at Mather AFB, California, the 62nd Tactical Reconnaissance Wing, the 363rd Tactical Training Squadron at Shaw AFB, South Carolina, at the Pentagon, with the Keesler Technical Training Center at Keesler AFB, Mississippi, and with the 3636th Combat Crew Training Wing at Fairchild AFB, Washington. He retired from the Air Force on August 31, 1990. First Lieutenant Gerald S. Venanzi distinguished himself by gallantry in connection with military operations against an opposing armed force as an RF-4C Aircraft Navigator near Hanoi, North Vietnam, on 17 September 1967. On that date, Lieutenant Venanzi, as lead navigator, maneuvered a flight of two RF-4C aircraft on a reconnaissance mission into one of the most heavily defended area ever to confront United States combat aircrews. In spite of a surface-to-air missile/antiaircraft artillery attack that damaged his aircraft, Lieutenant Venanzi continued to his assigned target, and with his wingman obtained one hundred percent coverage of all assigned targets, as well as several bonus targets, prior to having to abandon his disabled aircraft while over hostile territory. 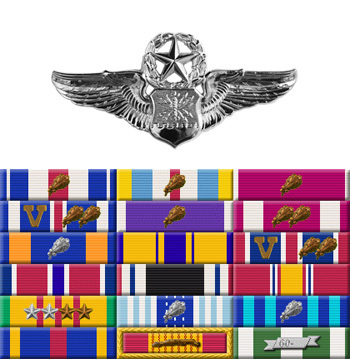 By his gallantry and devotion to duty, Lieutenant Venanzi has reflected great credit upon himself and the United States Air Force. Original POW Bracelet worn by a friend of the creator of Veteran Tributes. She kept the bracelet from the early 1970's until I told her he returned alive in 2007.